With a heart dedicated to improving the lives of “everyday people,” Shanelle Jackson considers herself a true Daughter of Detroit. She has committed her life to serving the people in the city and county she loves by striving to make them great places to live, work and raise a family. The eldest of three children, Shanelle was born in Detroit, the first child of Forrest and Jasmine Jackson. Forrest worked as an assemblyman at G.M. and Jasmine still works for the United States Postal Service. When Shanelle was eighteen months old, her father died of a heart attack, leaving his pregnant wife Jasmine and baby daughter to grieve. He was only twenty-nine years old. From then on Shanelle experienced firsthand the struggles that single parents face daily. Watching her mother overcome challenges taught her the value of education, the importance of hard work and tenacity. Shanelle credits her mother, Jasmine with cultivating her tireless work ethic and drive. Jasmine was determined to not allow her children’s lives to be defined by loss and sadness. Instead, victory and overcoming would be their story. Jasmine regularly worked long hours to provide for her family and fought tooth and nail to make sure her children received a quality education. An avid Girl Scout in Troop 1600, at Fellowship Chapel Church- under the leadership of Rev. Wendell Anthony, Shanelle learned the true characteristics of a “leader-servant.” It was in Troop 1600 that Shanelle began serving her community through helping to organize neighborhood clean-up projects, peer tutoring, distributing Christmas baskets and feeding the homeless. As a teenager Shanelle developed her relationship with Christ in the G Phi G (Glorify God) youth ministry at Word of Faith International Christian Center. Though she accepted Christ into her heart as a child, it was the G Phi G Youth Ministry that helped Shanelle overcome the struggles of her neighborhood and school as an inner-city teen. The youth ministry also taught Shanelle how to become a change agent. She learned the importance of working to make the world better place and that she had a moral obligation to stand up for what she believes in. Shanelle is a “doer.” She knows that faith without hard work is meaningless. That truth- drove Shanelle to overcome seemingly insurmountable challenges throughout her life. Learning these values at an early age fueled Shanelle’s passion to make a positive impact on her community and that passion still burns strong. She has worked with youth in Brightmoor, New Center and Rosedale Park, as a tutor. She remains committed to helping our young people reach great heights. She currently serves as a Mentor in the “Women of Tomorrow” program which helps high school girls in public schools around Detroit and Wayne County. Jackson also has served on the Executive Board of the Detroit branch of the NAACP. Shanelle is a proud Detroit Public Schools alumna, having attended Emerson Elementary School, Ludington Middle School and Redford High School. Jackson’s participation in the Arts programs at these schools, which included vocal; music and theater, helped to keep her motivated to reach her educational goals. 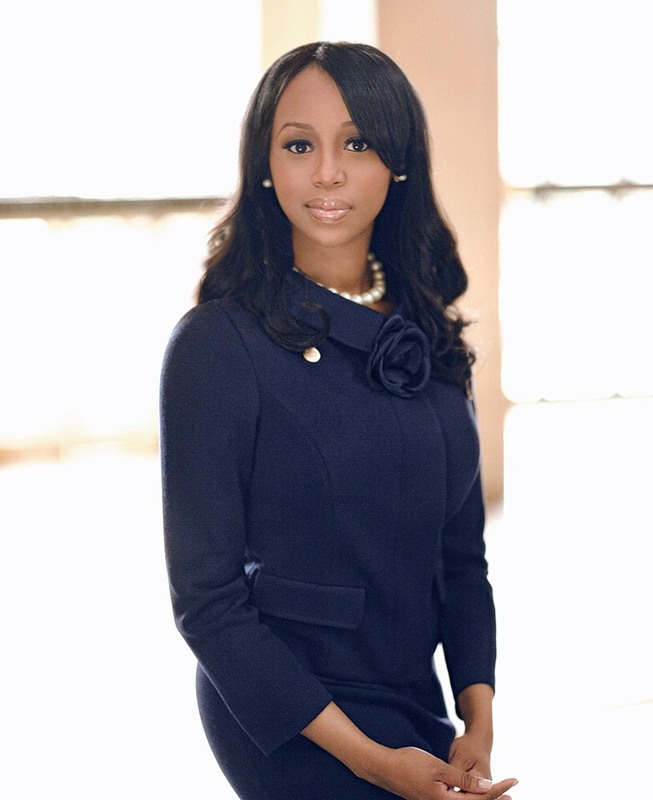 After graduating from high school, Shanelle earned a bachelor’s degree in political science from the University of Michigan. She has also earned a master’s degree in social justice from Marygrove College. Jackson is humbled to have been acknowledged with the following recognitions for the work she conducts daily for the state of Michigan and its residents. University of Michigan Dearborn, 2012 “Young Alumna of the Year” award. Having volunteered on several local and national campaigns as a teen and young adult, Shanelle formally jumped into the politics at twenty-two, first serving as Deputy Chief of Staff in the office of Michigan’s Seventh State House District. Through this experience Shanelle learned firsthand the powerful impact that dedicated public servants can have on cities and her desire to serve Detroit was strengthened even more. In 2006, Jackson won a seat in the Michigan House of Representatives serving Northwest Detroit, in Michigan’s Ninth House District. In doing so, she made history becoming the youngest African American woman ever elected to serve in either chamber of the State Legislature at twenty-six years old. Through hard work and encouraging constructive partnerships, Shanelle passed several important laws while serving in the Legislature. She is particularly proud of passing the law that allowed Cobo Hall to remain the property of the City of Detroit while permitting the City to lease the convention center to a regional authority. Under Shanelle’s law, the Regional Authority was responsible for and has now completed a total renovation of the facility. Created a “first of its kind” state law which mandates that mortgage companies must sit down with homeowners to modify loans before foreclosing. Giving homeowners new protections and keeping neighborhoods strong. Gives the department of education new revenue to help them implement President Obama’s education plan in Michigan. Provides the City of Detroit with avenues to improve our neighborhoods and keep our residents safe. Ensures that every citizen in Michigan has a fair opportunity to serve on a jury. legislation to make Michigan stronger, such as stronger mortgage reform provisions that include requiring the licensing of loan officers; reasonable payment plans for back taxes; and loan modification programs. Shanelle has always been a leader who acts with the courage of her convictions. She is never afraid to stand tall and advocate for those she serves, even in the face of great opposition. The ONLY House Democrat to vote in favor of the creating the Regional Transit Authority (PA 387-391, of 2012.) The RTA is helping people across Wayne County travel safely around the region for work and play. The RTA also brings Detroit closer to restoring our status as a world-class city. One of only four House Democrats to vote in favor of creating the Detroit Street Lighting Authority (PA 392-394, of 2012.) The Detroit Lighting authority is helping to fight crime by restoring light to many of the city’s most devastated neighborhoods. One of only three House Democrats to vote in favor of the Little Caesars Arena District (PA 396 of 2012.) The new stadium district has helped to put Detroiters to work in good paying jobs and apprenticeships. It adds to the economic viability of the city and region. Having served the maximum amount of time allowed under state law in the Michigan House of Representatives, in January of 2013, Jackson started a new chapter in her career of public service. She served as the Director of Outreach and Strategic Relations at the Michigan Department of Transportation Metro- Region office, where she helped launch the Southeast Michigan Regional Transit Authority. After nearly thirteen years in the public sector, in November of 2014 Representative Jackson transitioned to the private sector and currently serves as Director of Government Relations at the Detroit International Bridge Company. Working in the private sector has allowed Jackson to continue her work as an advocate for everyday people by leading efforts at DIBC and affiliated companies’ to hire Detroiters. Jackson is also proud to have lead efforts at DIBC that increased philanthropic giving to non-profit organizations that serve children, the elderly, the poor and middleclass- around Wayne County; including Forgotten Harvest, The Detroit Riverfront Conservancy, NAACP, Detroit Recovery Project, LASED, SER Metro, DAPCEP, Harvest Time Ministries, The Children’s Center, Mack Alive and many others.